The Internet-Of-Things is the new age phenomena that will totally change the way to world works. Thanks to powerful Wi-Fi, internet providers, and seas of sensors, our planet becomes more and more accustomed to a digital industrialization. The Internet – bad or good – brings us exponential opportunities and possibilities to experience the inexperienced and take the world to the “next level”. These opportunities and possibilities continue to improve as the IoT (Internet of Things) continually evolves. For those who aren’t accustomed to the term yet, the Internet of Things is basically a network of Internet-connected devices (other than the usual smartphones/computers), which purpose is to improve the quality of our lives and the effectiveness of our work. Everything is connected with the purpose of improvement. Due to this aspect, the job marketplace is going to suffer amazing changes throughout the next several years. Lots of new jobs will appear and disappear, and technology obviously becomes stronger. 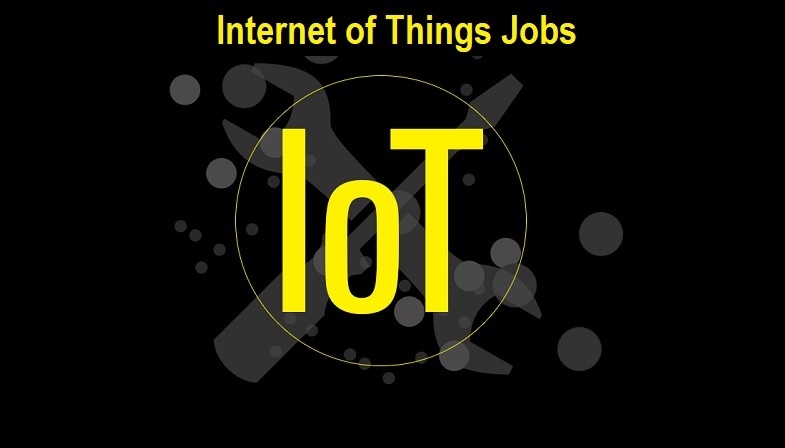 In today’s post, we’re going to see 10 new jobs which will become increasingly popular due to the IoT phenomena. The power grid of the United States dates back to the early 90’s. A lot of time has passed since then and not much has improved. The power grid of a country is responsible for the collective electricity power. Unfortunately, today’s power grids can no longer help us move forward. We need a new system which is more efficient and more reliable. As the IoT trend advances, a new, more modern and performant grid will be adopted. A “smart” grid will be able to support the communication between all the digital objects, including your house electronics, tools, and appliances. The purpose of a modern power grid is to measure the consumption of power across a country. With the presence of amazing amounts of data, modern grid engineers will be responsible for analyzing, measuring, and optimizing the performance of the grid. The technology is advancing faster and faster, and the 3D printing technology is yet another proof of that. Even though this technology has been circulating for a few years now, the modern advances make this industry extremely remarkable. Nowadays, you can print objects that were designed on a PC. These objects are modeled by an advanced 3-D printer, and most of them are made out of plastic. Now – if we’ll soon start printing our products and tools, who do you think will help us do it? 3D printing engineers will become very important to our society and world. An agricultural technologist’s purpose is to maximize the production of food that comes from animals and plants. He is ought to analyze the soil, the livestock, and the crop. And, because we’re experiencing a technological and digital era, these agricultural technologists can significantly improve their work by leveraging data in the smartest way. The Internet of Things come into play, as we can now use a variety of technologies that allow an agricultural technologist to understand how much herbicide and fertilizer they need to use, how much fuel the vehicle has, or real-time updates about the crop’s yield. Simply put, agricultural technologists will have a lot of work to do! Smart wearable tools like bracelets, glasses, and jewelry have already become a trend in our entire world, especially in the US. Over 70% of the young populations are eager to use more wearable tools and incorporate technology even more into their lives. Smaller batteries, smaller sensors, smaller circuity…these are all aspects that require professional expertise. Wearable tech designers will become more and more important, and they’ll soon start to be recognized as a distinct type of tech workers. Data was, is, and always be important. Since people use their devices daily, store important information, and do important operations online, data protection has become one of the most important priorities of both governments and private institutions. As the IoT phenomena spread, data security professionals will be more needed than ever. With billions of smart devices connecting to the World Wide Web, the security of sensitive data and the reduction of potentially critical data meltdowns will be absolutely necessary. In the last several years, many private companies have been the target of malicious hacking attempts. For example, Essays Scholaradvisor, an essay writing service, has been a target of a database hacking attack. A lot of sensitive personal information about students was stolen, and a lot of data was also damaged. Big companies now prefer to secure their operations using their own resources instead of relying on the law enforcement’s support. Cybersecurity professionals (or also called defense hackers) are responsible for the “defense” of the company’s files, data, and tools. These key employees of yours will anticipate hacking attacks and will make sure that your company is never vulnerable. The age of robots is here. Believe it or not, doctors from all across the world are using them to improve the quality of their work and operations (including surgery). However, everything advances so quickly as today’s robot engineers must learn how to leverage the available knowledge to make the necessary changes and optimizations. In the next few years, robots could replace the doctors who perform surgeries. Surgeon doctors will become “robot operators”, as they will step back and carefully observe the automated work. Internet of Things both good and bad things. For the system and the law, it can only do good. Every smart device which is connected to the IoT will be uniquely identifiable. Therefore, investigators can now seek evidence by different means. E-discovery specialists are basically responsible for the discovery of “digital footprints” that criminals accidentally left behind. This job is not easy, especially when you have to decode and understand the data present on a smart bracelet, ring, or watch. A few years ago, most of us we storing all our pictures, music, documents, and other important personal data in our computers’ hard drives. That changed a while ago, as now we have a different option that brings way more benefits. Cloud-based storage is, in simple terms, online storage. Cloud computing seems an astonishing improvement, but like with anything else, we’ll encounter problems. A cloud system needs to be well-optimized and stable in order for people to trust it. That’s where cloud computing specialists come into play. As the capacity and use of cloud computing continually increase, more and more professionals will be required. The IoT trend manifests like all others. It grows slowly, up to a point where it becomes huge. You know when it’s huge when the majority of the population uses it. Take social media as an example – 14 years ago, Facebook didn’t even exist. Hardware engineers will be essential in today’s digital marketplace. Every smart, internet connected device will have a specific software and hardware. For a big product development project to be successful, an experienced hardware engineer is required. We move fast and we change fast. The world happens to be in a continuous motion since the beginning of times. Nowadays, we love to play with our brains. We absolutely adore revolutionary technological breakthroughs as we’re totally stimulated by them. New revolutionary minds want to make the world a better (or a worse) place. The best proof that helps you clearly understand how fast we are going is thinking about how the Internet used to be and how it used to work 15 years ago when Facebook was not even existent. Now, the IoT (Internet Of Things) is becoming a reality. Pretty amazing right?